Lydia had a reduced range of movement in her arm, wrist and hand making everyday tasks more difficult. Tightening of her left upper limb made movements effortful and a lack of finger mobility made zips and buttons hard to do up. Dressing, showering, washing and school work were difficult tasks and over the next 3 weeks we worked together with Lydia to make her life easier. To be able to independently do and undo zips on her clothes. To independently button and unbutton her school shirt. Put up her own hair. Carry her own food tray at school. Range of movement exercises for forearm. 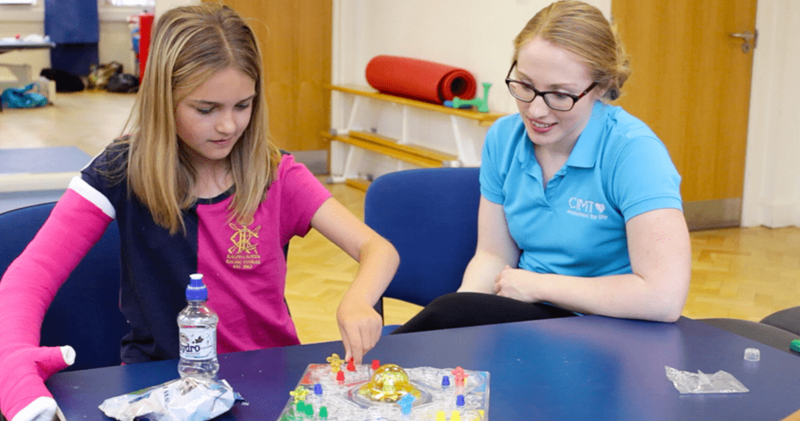 "I really enjoyed completing the CIMT programme and I feel I have gained a good relationship with the whole of the CIMT team." 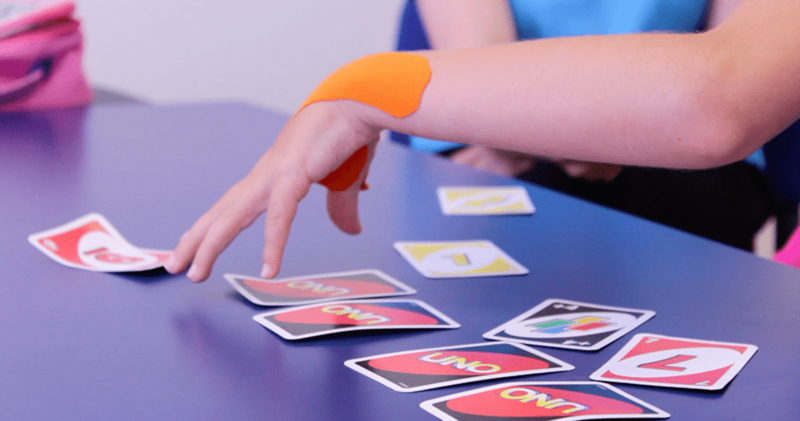 We wanted to improve a wide range of aspects of Lydia’s affected limb to improve its general functionality and give her back some independence both at school and at home. 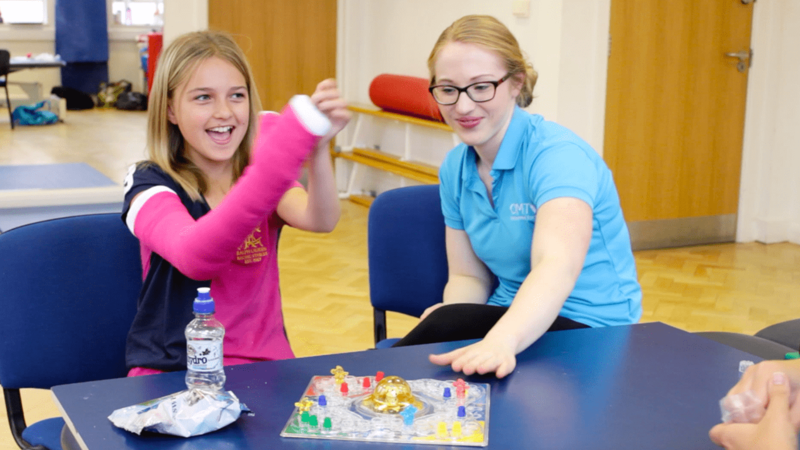 Through looking closely at her goals, our physiotherapists ran a bespoke programme in order to improve Lydia’s hand, wrist and shoulder dexterity, control, strength and range of movement. 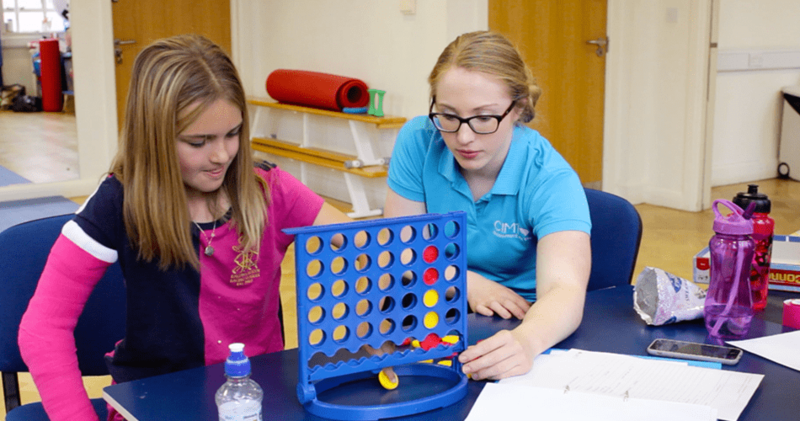 Through the constraint of her non-affected limb Lydia was encouraged to utilise her affected limb in order to complete a number of specilised tasks, which stimulates the formation of new pathways for movement, “rewiring” the brain in order to complete the tasks. 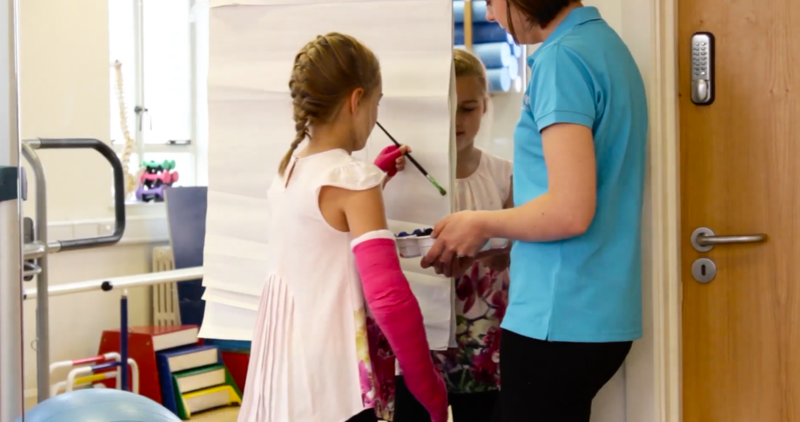 The static posture of the non-affected side in the cast, further assisted to reduce tone in Lydia’s left arm and hand consequently promoting functional use. Lydia developed the strength and coordination to be able to hold her school dinner tray independently. 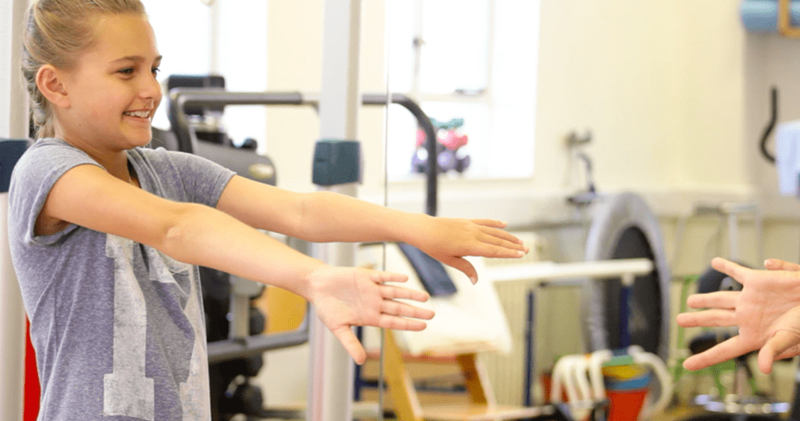 Lydia’s gained confidence in her left arm, so she’s gained confidence in herself! 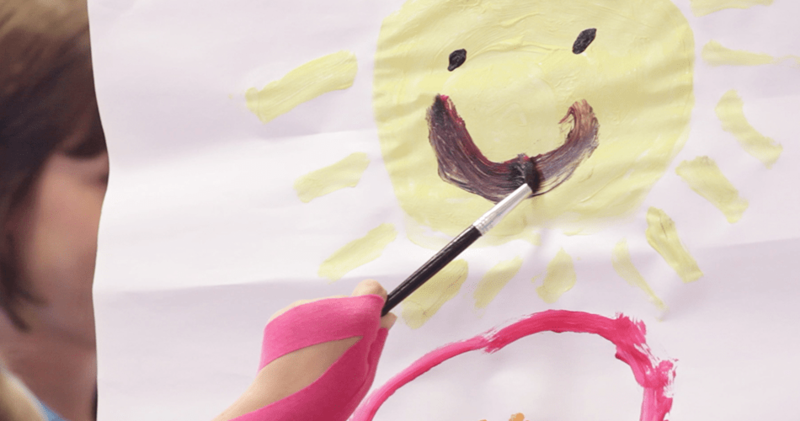 Lydia’s improved co-ordination and dexterity in her left hand meaning she can clean her teeth, dress herself and use cutlery. "Lydia and I have something in common, we love a good gossip! We bonded over musical theatre and our love of popcorn. 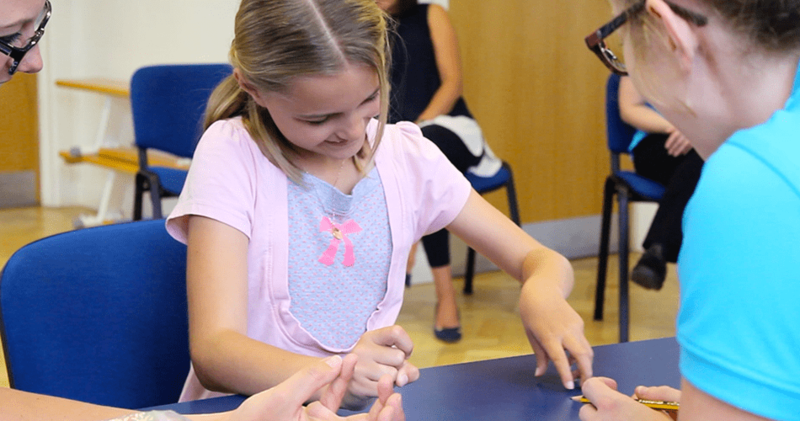 It being CIMT Lydia was only allowed to eat popcorn using tweezers or chopsticks. 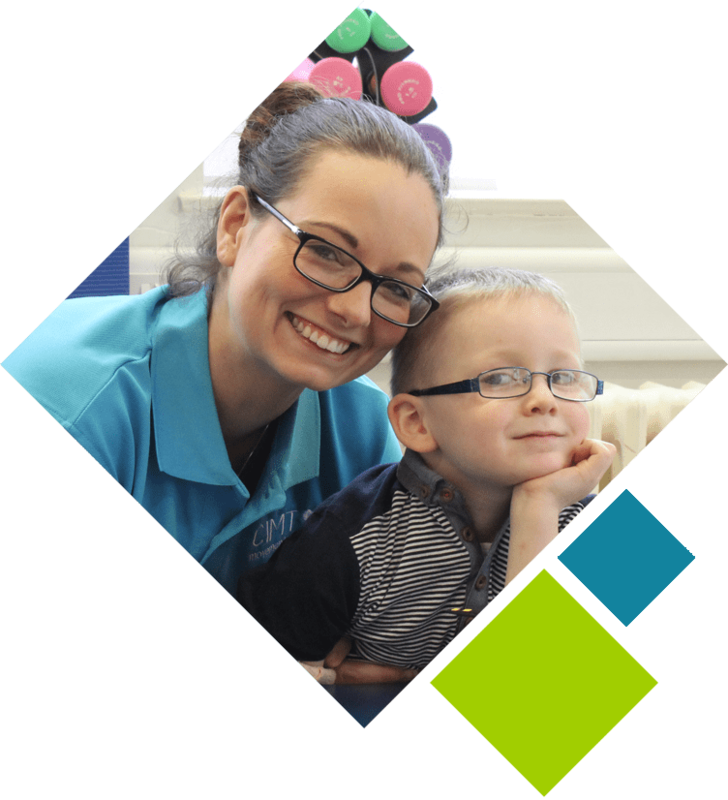 Lydia was always happy to give anything a go and worked very hard to achieve her goals. 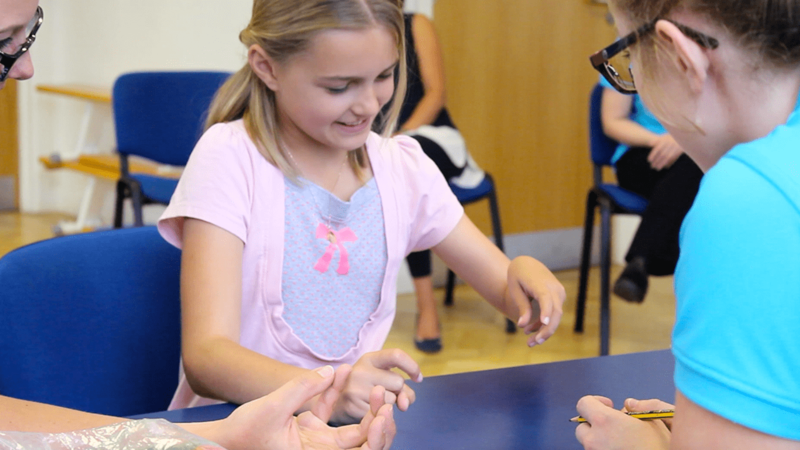 I was most impressed with the improved strength in Lydia’s arm and the dexterity she gained in her fingers." 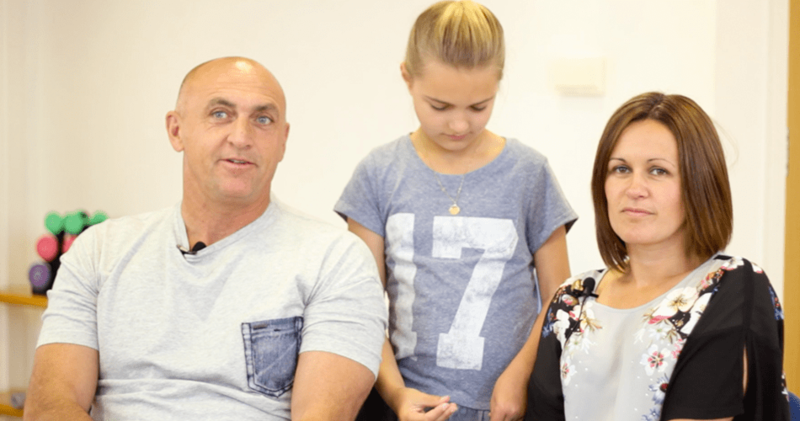 "The progress that she's made... it's been emotional at times..." Ben, lottie's Dad. 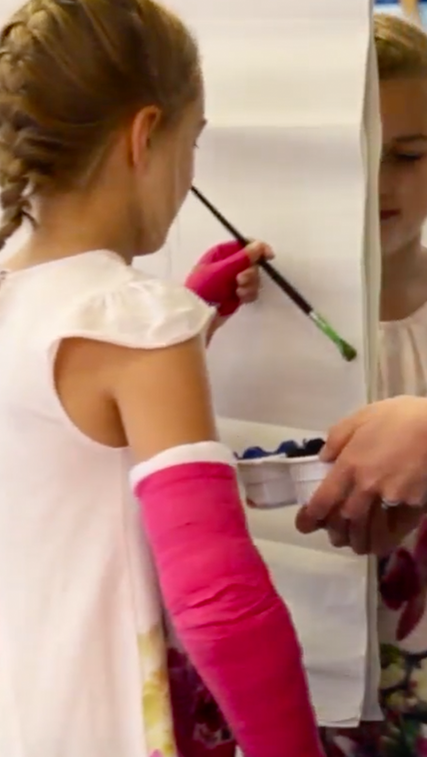 "We are definitely coming back when she outgrows her cast" - Rachel, Molly’s Mum.